Investors are buying New Zealand dollars ahead of the Reserve Bank’s monetary policy decision. This demand suggests that traders don’t expect the RBNZ to signal any immediate plans to lower interest rates. 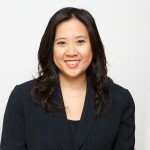 Having just surprised the market with a rate cut last month, no additional easing is expected but when the Reserve Bank eased, they also warned that further stimulus may be required. So the big question is whether this view will be emphasized in April. The RBNZ’s primary concern last month was low inflation – the central bank lowered their 2016 Q1 annual inflation outlook from 1.2% to 0.4% and their Q4 2016 annual inflation rate to 1.1% from 1.6%. They worried that prices would remain low for some time and that domestic risks would contribute to falling inflation expectations. Thankfully consumer prices rebounded in the first quarter with the year over year rate ticking up to 0.4% from 0.1%. 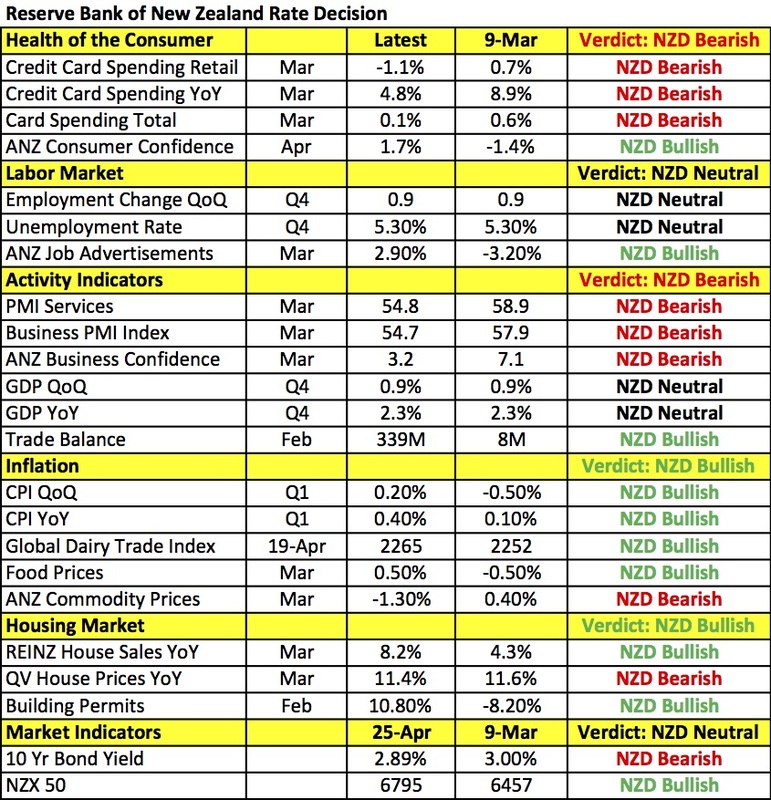 From an inflation perspective, the RBNZ has less to worry about but consumer spending, service and manufacturing activity weakened in the month of March, leaving the central bank with many areas of concern. So while the RBNZ may not go as far as lowering rates in April, they could maintain their dovish bias, which would renew the decline in the New Zealand dollar.